Sick of playing vertical chess? here’s another game you can play on your wall. 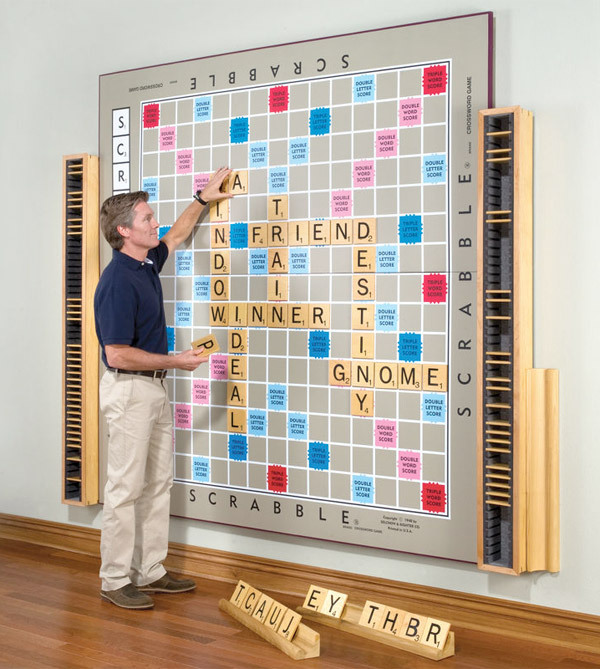 This handmade 7’x7′ Scrabble board has 4-3/8″ wood tiles with magnetic backs. You’ll still draw all vowels and a single Q.